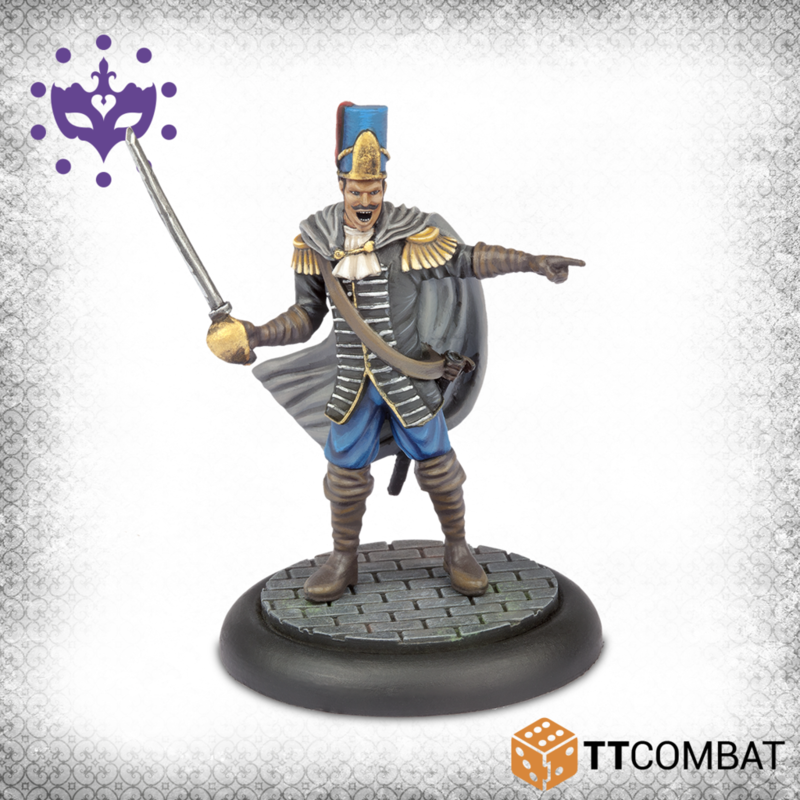 TTCombat bieten einige Neuheiten für Carnevale zur Vorbestellung an. 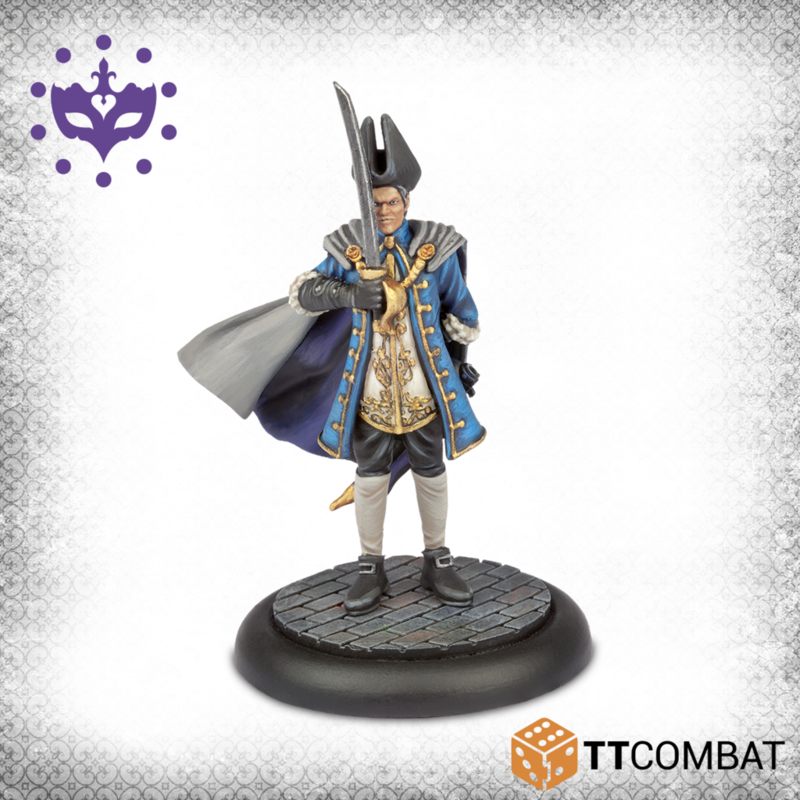 This box contains some of the most powerful characters for your games of Carnevale. 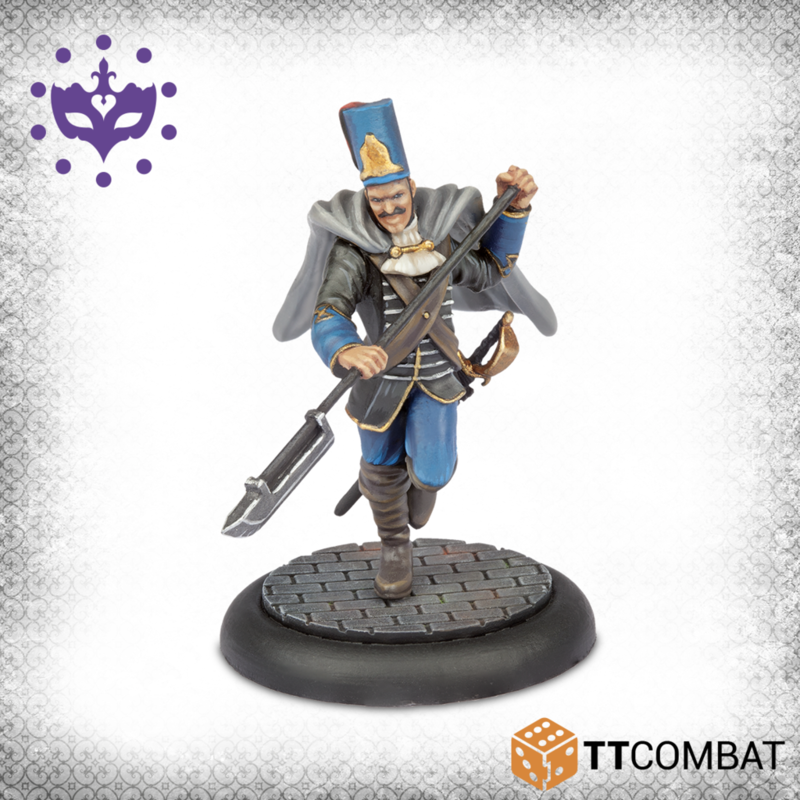 Vlad Dracula is almost a one-man gang with fantastic command, offensive and defensive abilities. 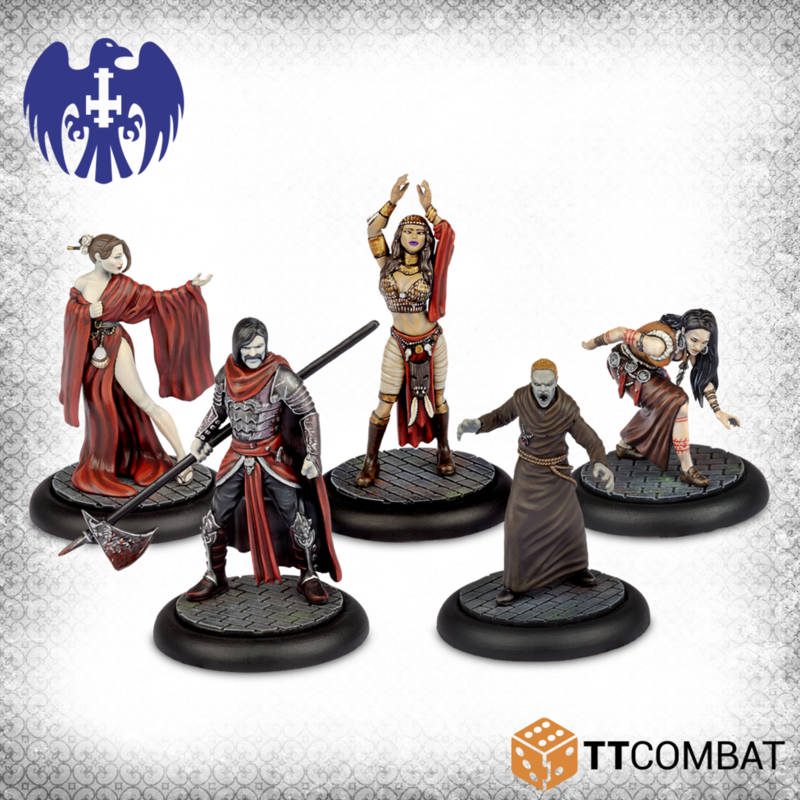 Ceres, Cibelle, and Miriam – the Brides of Dracula – are formidable fighters and mages, and the Strigoi Priest in an unholy creation, perfect for shutting down enemy magic. 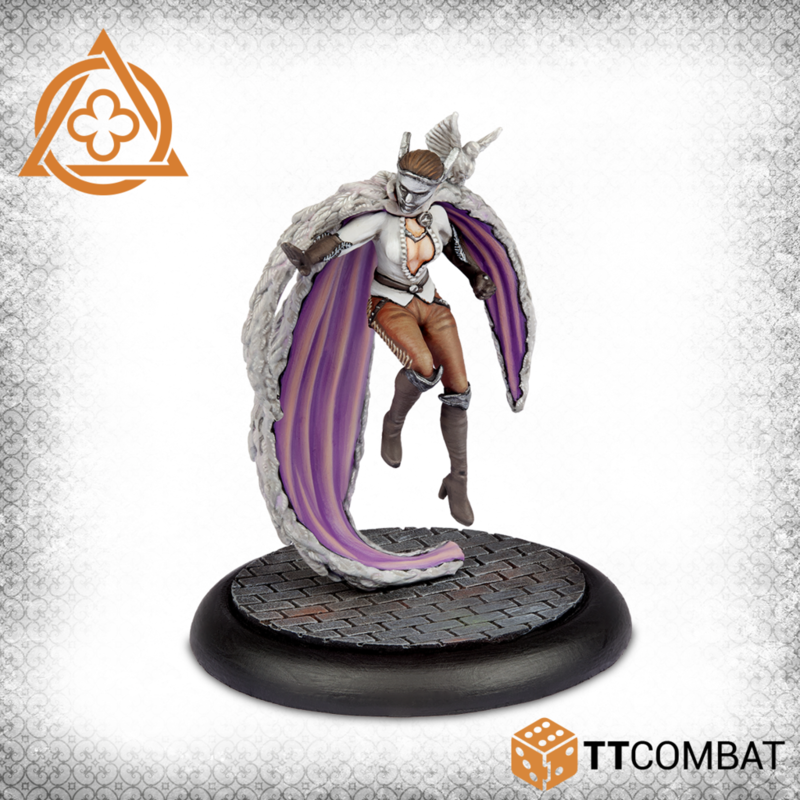 This set contains White Dove, a Gifted for hire. 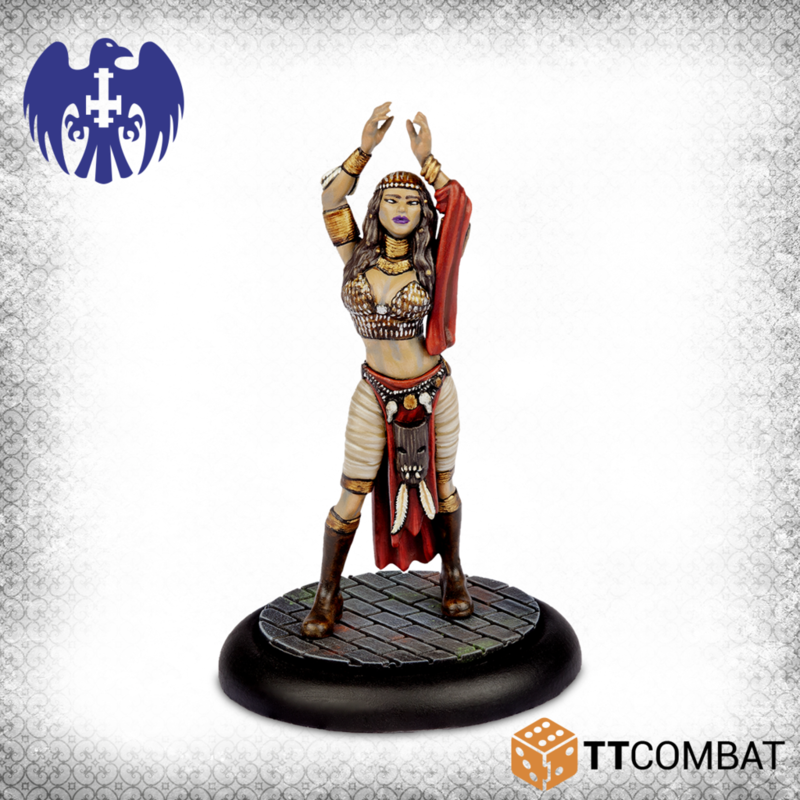 She is one of the rare characters in Carnevale to be able to fly – a massive advantage in a game with so much verticality! 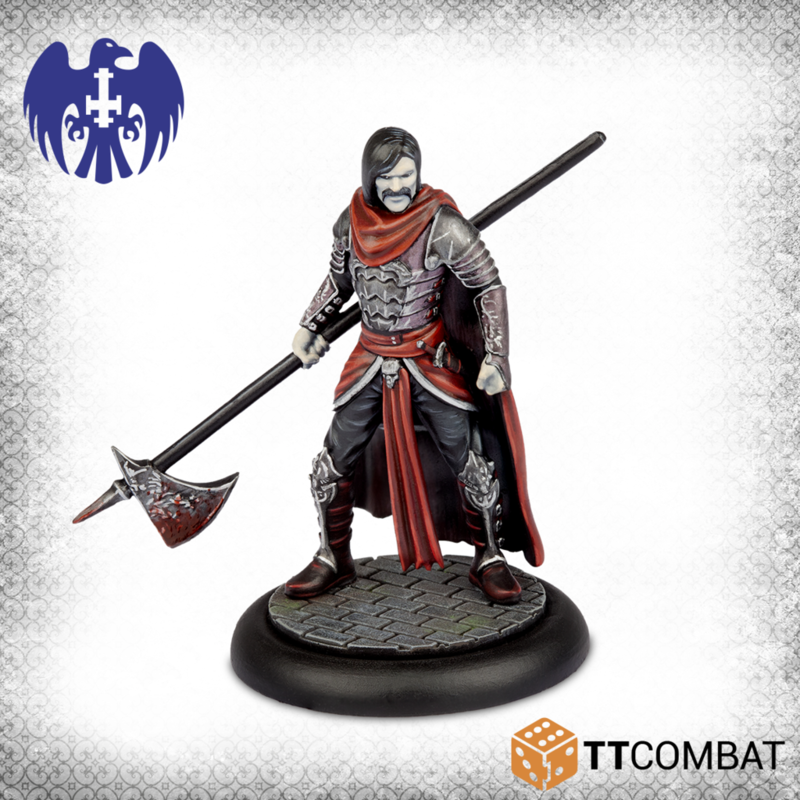 Her Dove’s Kiss is a devastating ranged weapon, able to break through the toughest armour with ease. White Dove is a Gifted character, which means she can join the Commedia dell’Arte to make a full gang. 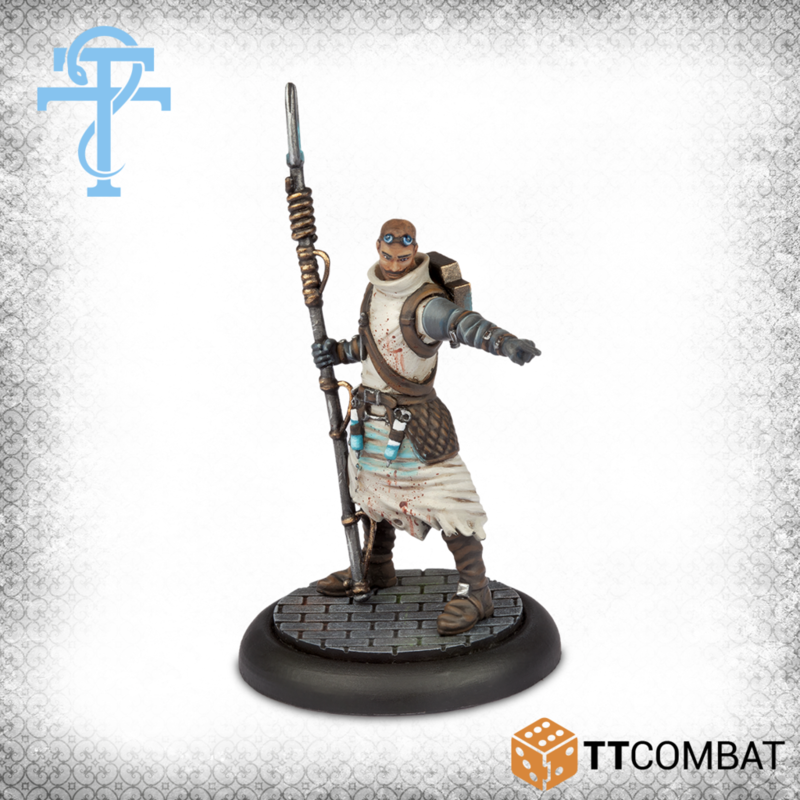 But as a Gifted, she can also be taken in any other faction, providing speed and firepower to any gang that needs it. Assassinating from the rooftop or drowning your enemies in the canal is the new normal in Venice since the Rent in the Sky opened. It’s equally likely to have a quiet nightime walk or to be hunted down by gangs with swords, pistols, and even explosive cannons. Watch your back along the tight streets, and always carry a knife. 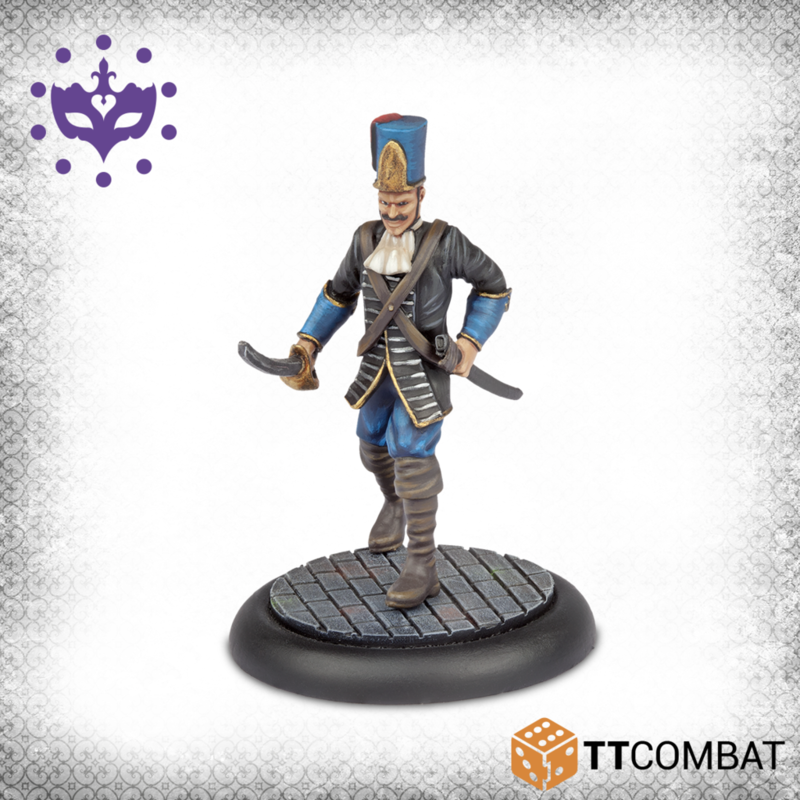 This box contains everything you need to play a game of Carnevale, just add a rulebook and miniatures. 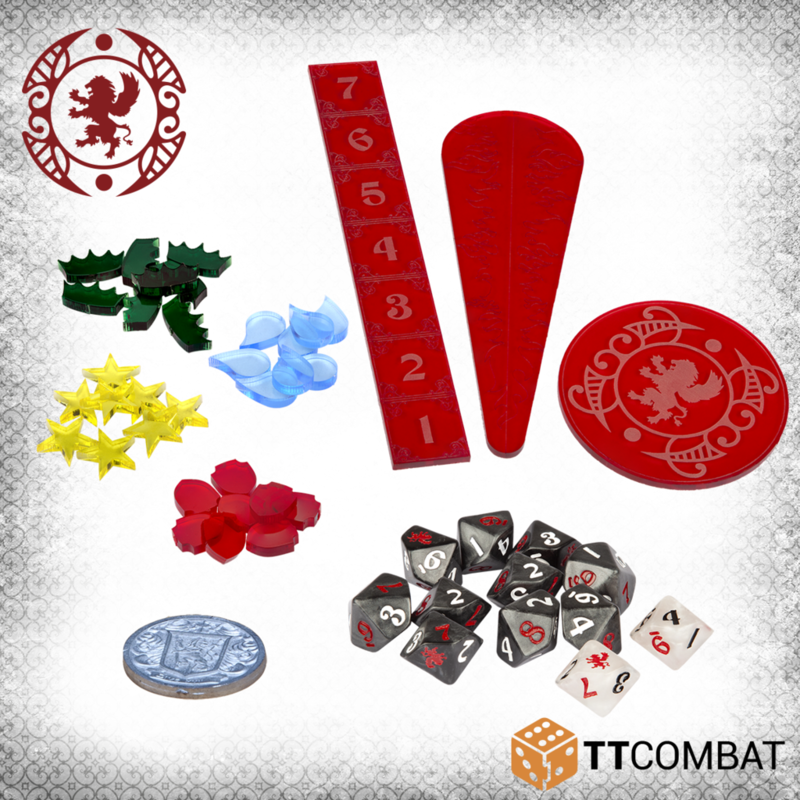 Acrylic counters, templates, and a ruler for you can keep track of statuses and measure distances. Take your chances on the streets of Venice with 10 black and 2 white Destiny dice, and a metal Carnevale coin that makes a perfect marker. Venice is a bustling city, packed with buildings. 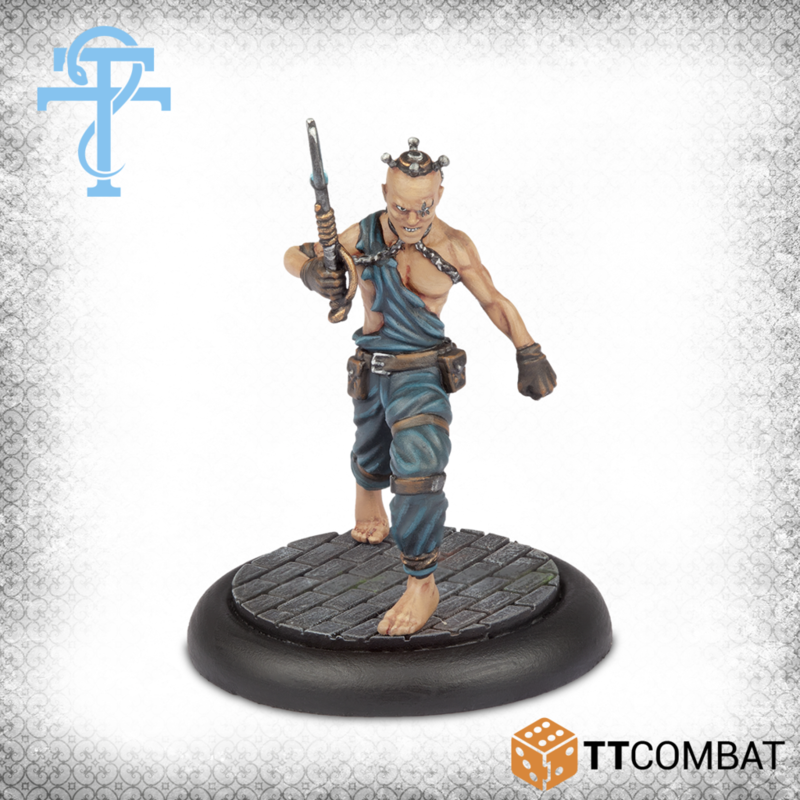 Tight streets and narrow alleys provide the perfect backdrop for gangs to slip through the night without detection, the tall buildings masking their advances. Sneaking through the quiet streets and across the bubbling canals is only part of the skirmishes in Venice though. 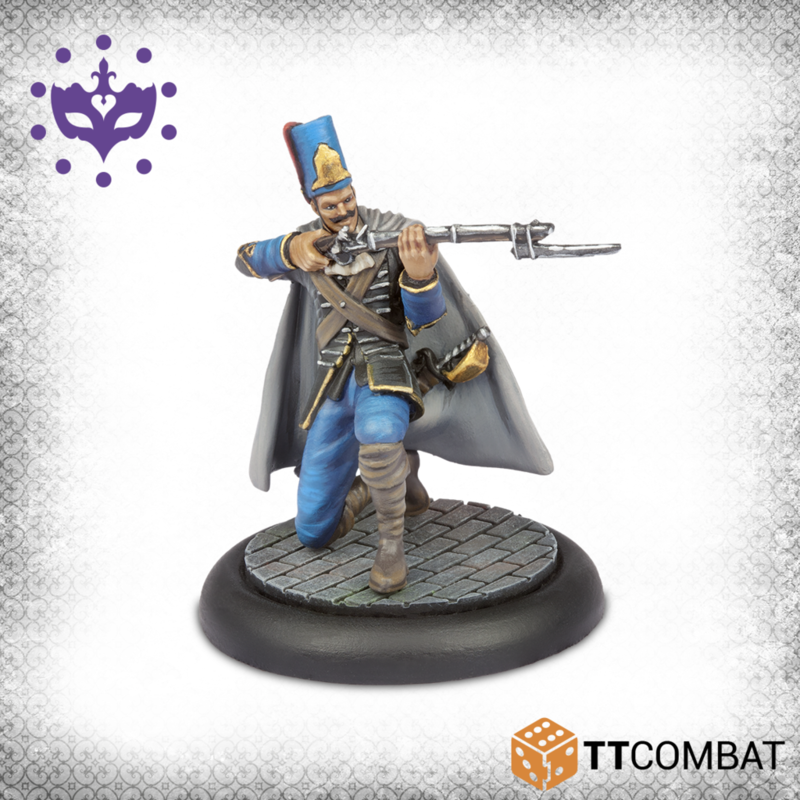 A street fight in La Serenissima is won or lost through careful positioning of fighters. Staying on the ground will find you prey to all manner of horrors down dark alleys or worse – from the depths of the water. Scaling a building gives a distinct advantage, able to see the entire district. There’s nothing more exhilirating than leaping across the rooftops. 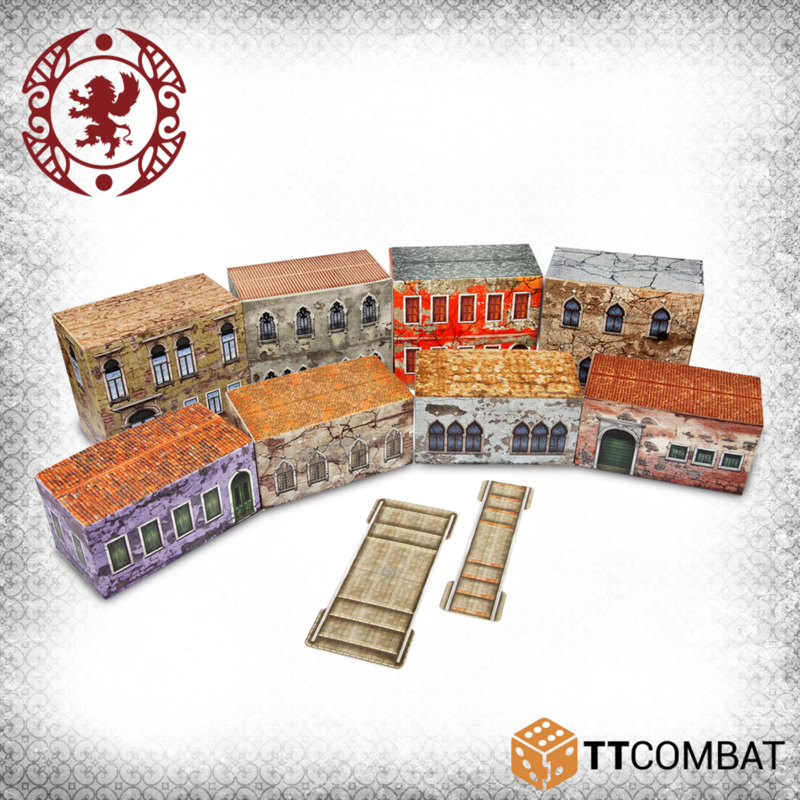 And there’s nothing more deadly than chasing your opponents over the skyline of Venice before striking from above.This pack contains 8 exquisitely detailed card buildings. 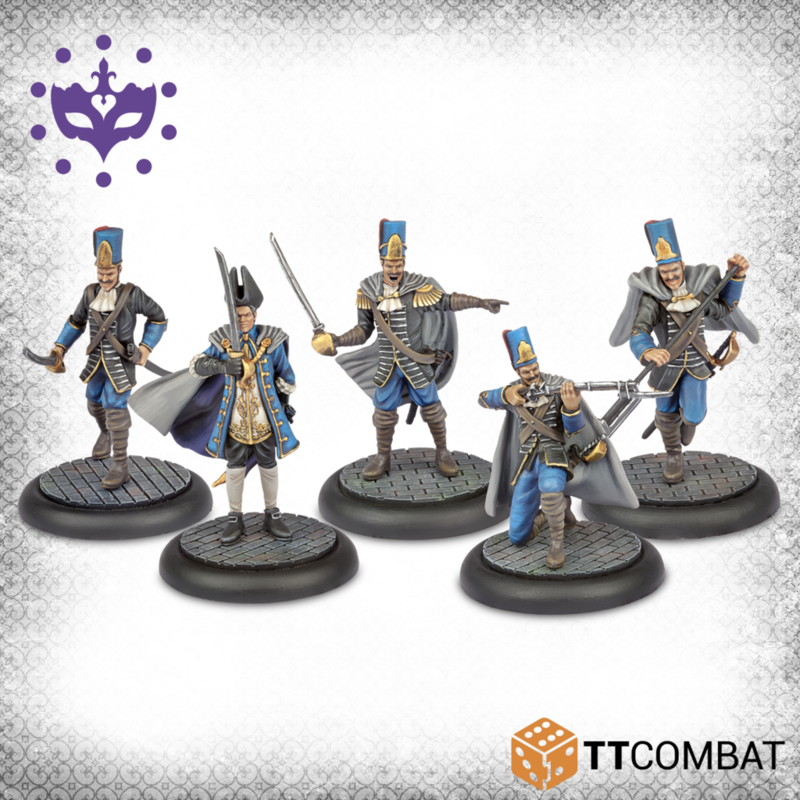 In all manner of colours and styles, they sit perfectly in a district of Venice on the board. They go together simply and easily, allowing you to be tabletop ready within minutes. 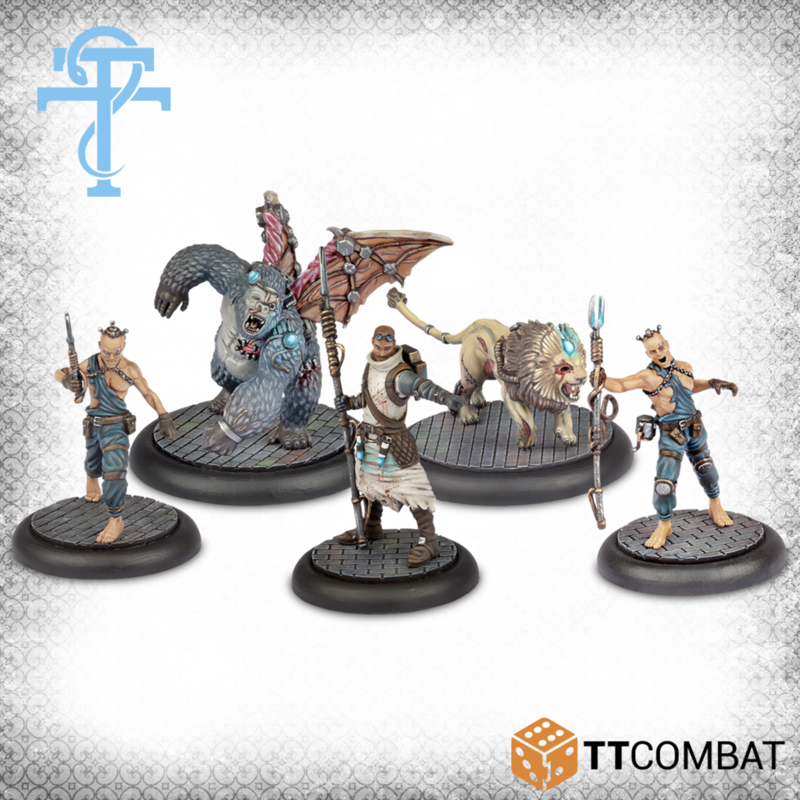 With flat roofs and a sturdy design, these buildings are a must for climbing and jumping across during your games. There are also four card bridges, perfect for spanning canal sections and making traversal of Venice a little bit easier (if you don’t have gills). Venice has turned into a bustling metropolis. Since the Rent in the Sky opened and drowned much of Europe, the city remains unscathed and poised in the perfect position to become the continent’s new hub of trade. Sitting on the Adriatic Sea, it is a place on water, the City of Canals. Those canals seem to be constantly shifting as the city expands. What was water one day may be dredged up the next. What was a canal last week may now just be a pile of rubble. And that is before the strange, otherworldly phenoma that plague the city. Creatures live beneath the waves, magic abounds, and gangs roam the streets at night, vying for their own patch to call home. With the constant skirmishes, allegiances change daily, with entire districts passing control between parties at a moment’s notice. It’s an interesting time to live in Venice, provided you don’t fall in with the wrong people.This pack contains 9 beautifully detailed card gaming tiles. 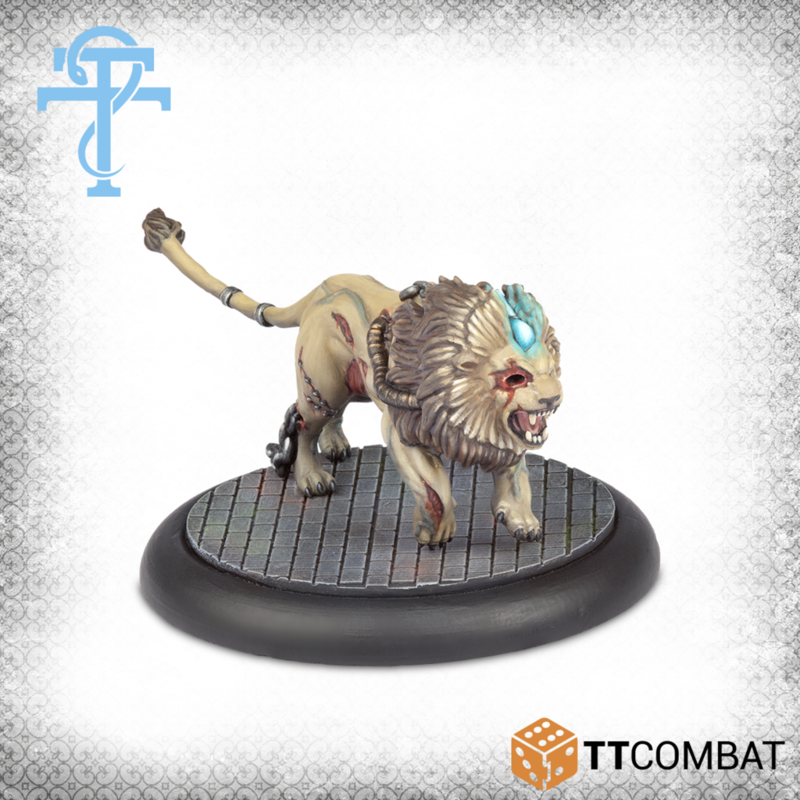 Printed on heavy card they are a great gaming surface to fight through in your games of Carnevale. One side is lavish with detail of canals, with plenty of plaza sections to complement the sturgid water. On the back you’ll find entire water tiles, each uniquely detailed. 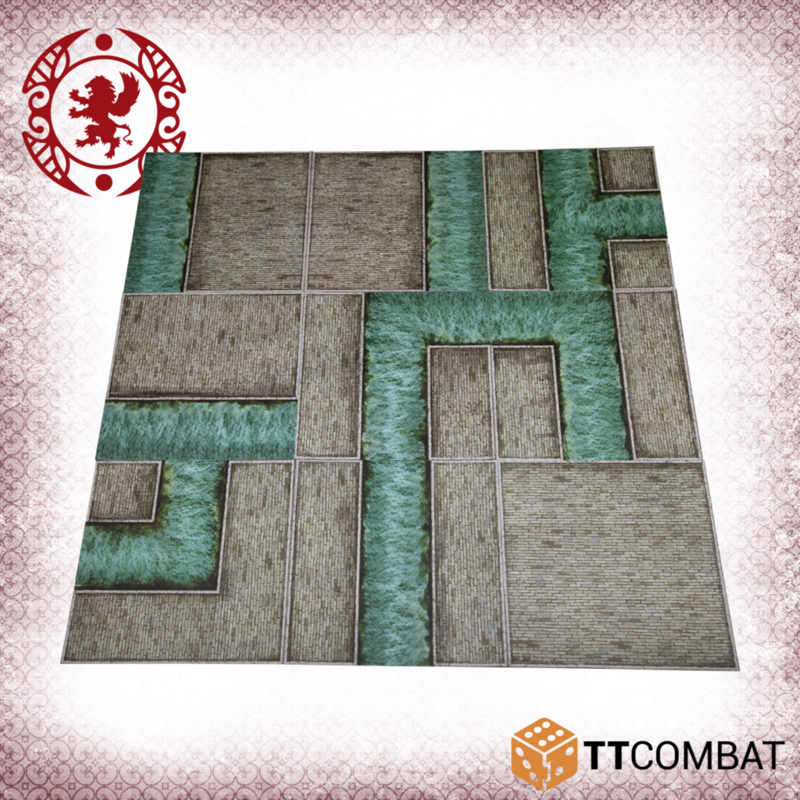 These are perfect for making wider canals, or for using in conjunction with our MDF Tabletop Scenics plaza tiles to create a fully three-dimensional gaming board. Die Minis sehen durch die Bank sehr gut aus. Bin schon gespannt ob das nochmals durchstartet, nachdem des quasi verramscht wurde. Das Bruderschaft… äh Venetian und Crumbling Geländeset ist echt interessant. Auf welcher Spielfeldgröße wird Carnevale denn gespielt? Bei dem Venetian District steht leider auch nicht auf der TTCombat Seite die Größe angegeben. Wenn das passt könnte man sich für 24-36£ relativ einfach und günstig für FF eine schöne Bruderschaftsplatte bauen. 2’×2′ bis 3’×3′ ist angegeben. Sehr kompakt, auch für Leute mit wenig Platz. Ich hab mir die Grundbox geholt und bin sehr zufrieden. Das System ist eher casual, sehr vereinfacht aber dadurch auch schnell lern- und spielbar. Das sind 9 1’×1′ Platten, und sie sind doppelseitig bedruckt. Dann hat das ja die perfekte Größe für Freebooters Fate. Dass die Rückseiten mit Wasser bedruckt sind, hab ich gesehen, macht es nur noch besser. Ich hoffe nur das Material wölbt sich nicht. Hab sowas bei größeren Cardboardteilen schon erlebt. Ziemlich schicke Minis. Wie ist den deren Resinn Qualität? Sie ist im oberen Mittelfeld würde ich sagen. Das Material ist genug fest für recht scharfe Details aber auch etwas elastisch und nicht so leicht brüchig. Einzelne kleine Luftbläschen, verbogene dünne Waffen und leichte mold lines sind recht häufig. Fehlgüsse habe ich bei all den Minis von meinen KS nur zwei kleine gefunden. Ein Ziegenbärtchen das nicht richtig gegossen worden ist und ein kleiner Versatz. Habe noch keine Reklamation gemacht. Weiss also nicht wie einfach es ist Ersatz zu bekommen. Werden die Sachen denn schon auf der Tactica vorrätig sein? Spielfeldgröße variiert stark…geht von 2×2 bis 4×4 aber auch 4×2…Standard wenn es so etwas gibt scheint 3×3 zu sein. Habe gerade eine Reklamation laufen (in meiner Catican Starterbox waren 2x die gleichen Minis, dafür haben die Priester gefehlt), ANtwort auf meine Mail innerhalb einer Stunde mit der INfo dass mir die Priests nachgesendet werden. Soweit schon einmal sehr gut. Ich baue das mdf Gelände. Preis/Leistung ist ein Wahnsinn….selbst ein wirklich voller Tisch ist noch leistbar wenn man will. Gebaut und bemalt relativ schnell.